Linh Tran is a Vietnamese national who perhaps has not gained as much adulation as he should have, solely because he grinds out most of his money at cash tables and because tournaments are not one of his strengths. Despite this, he has a number of good tournament results. In August 2011, he had a boost in his bankroll when he finished 3rd in the Asian Poker Tour (APT) Manila Main Event for USD$29,000, making this his first significant tournament victory. 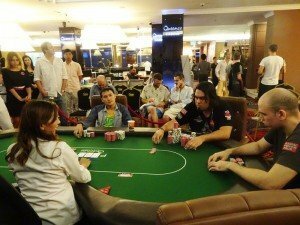 He then followed it up a year after at the APT Cambodia High Roller event where he won a trophy and cash worth USD$20,000. The years 2013 produced an 8th place finish at the Aussie Millions Poker Championship 6-Max Event for around USD$15,000, and a 3rd place finish at the APT High Roller Event in Manila for another USD$15,000. The following year, he had 3 significant tournament cash finishes, namely, 2nd place at the APT High Roller Event for USD$17,900 in May, 7th place at the World Poker Tour (WPT) Manila Main Event for USD$25,000 in October, and 4th place at the APT RWM Poker Finale Main Event for USD$19,347 in December. As the years pass, Tran‘s cash-outs were becoming more sizable as evidenced with his performance in the year 2016. 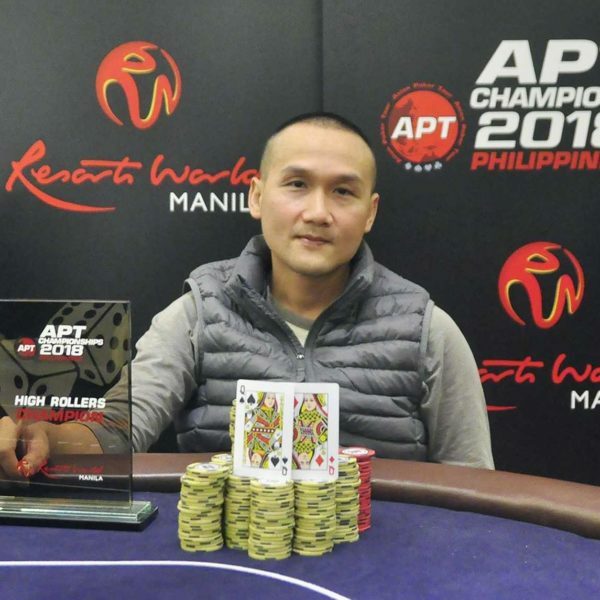 At the start of the year in January, Tran took home the glory of winning the APT High Roller Event for USD$32,000. This was followed in August with a major victory in the Asia Pacific Poker Tour (APPT) Manila Main Event for USD$130,000, his biggest cash earning to date. In September, he took home almost USD$50,000 for placing 4th in the Macau Poker Cup (MPC) Single Day High Roller Event. And nearing the end of the year, in November, he came out as the runner-up at the Asia Championship (ACOP) of Poker No Limit Holdem Event for USD$52,676. The year 2017 was not as prosperous seeing no victories but he did earn several hefty five-figure payouts along with some near triumphs. The top half of the year began with a 3rd place finish at the Aussie Millions NLHE Mix-Max event for US$16,000. 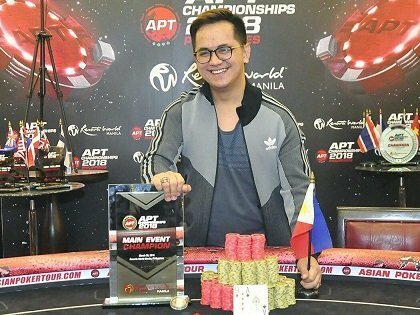 In May, he placed 8th at the Poker King Cup Main Event for US$23,700 which he immediately followed up with a runner-up berth at the Manila Megastack Main Event for US$38,153. Two weeks later, he was back in Macau for the APT, finishing 2nd at the High Rollers event for US$22,819. The bottom half of 2017 was the opposite, running flat with small cashes. This dragged into 2018 until March where he landed a nice payout of US$23,686 at the APPT Macau NLH event for 5th place. At the end of the month, he was back in the winner’s box, capturing his third APT High Roller title and the US$37,477 cash. 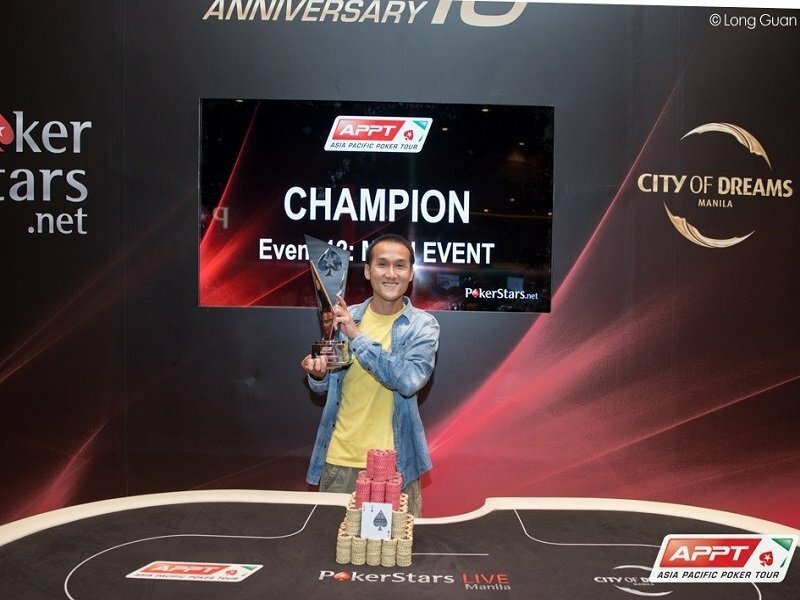 This latest victory surged Tran over US$1 Million in live tournament earnings becoming the first Vietnamese to reach this milestone. He remains at the top of the country’s ranking, a position he has held since 2015.